Gateway via Norway's Storskog seems closed, but a record number of 31 asylum seekers came to Raja-Jooseppi in Finnish Lapland on Thursday. 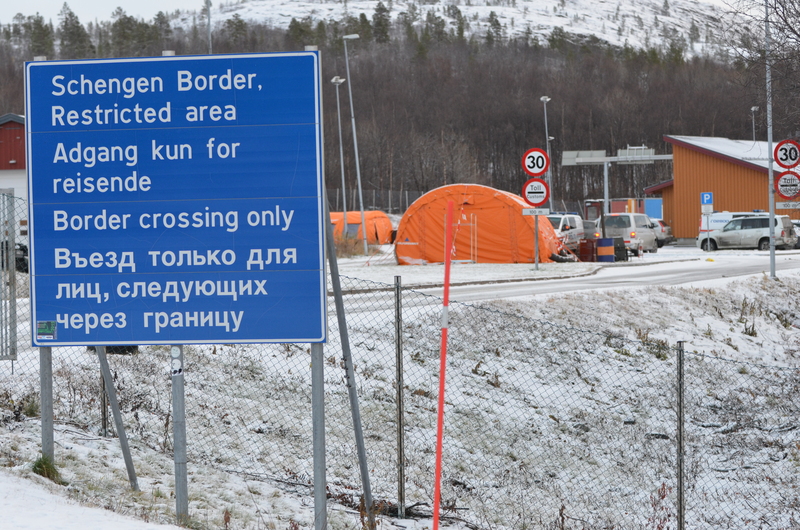 Since Monday this week, zero asylum seekers have crossed the border at Storskog from Russia to Norway. But in Lapland, a new door to Europe seems to be open. Raja-Joosepi is the northernmost checkpoint on Finland’s border to Russia. The checkpoint is on the road from Murmansk to Ivalo. While Norway have received more than 5,000 asylum seekers traveling the Arctic Route via Russia’s Kola Peninsula, Finland has seen very few. Until now. Of the 325 asylum seekers arriving so far this year, nearly 10 percent, 31 persons arrived yesterday, reports the Finnish Border Guard. So far this week, 71 asylum seekers have arrived, last week it was 50 and the week before that 85. Driving from Murmansk, the distance to Russia’s border checkpoint Lotta towards Finland is less than 300 kilometers, just slightly more than from Murmansk to the Norwegian border. The migrants now crossing into Europe in northern Finland are mainly the same nationalities as seen last week over the Russian-Norwegian border; Afghans, Nepalese, Palestinians and Iraqis.